France considers that it is vital to support and strengthen the international nuclear non-proliferation regime.
. The implementation of an Additional Protocol, combined with that of a comprehensive safeguards agreement, is essential for obtaining comprehensive assurances of compliance with non-proliferation commitments and is a current standard to enable the IAEA to fulfil its mandate. Export controls are one of the tools available to the international community in its efforts to prevent the proliferation of weapons of mass destruction and their means of delivery. France provides support to the various informal suppliers groupssuch as the Nuclear Suppliers Group (NSG), Australia Group, Zangger Committee and the Missile Technology Control Regime (MTCR), and applies rigorous national controls. Lastly, France has undertaken to strengthen the international non-proliferation regime by providing assistance, where necessary, in disarmament and non-proliferation, and particularly through its support to multilateral nuclear fuel cycle mechanisms and Nuclear-Weapon-Free Zones. It is likewise vital that we pursue our efforts to launch international debate on the issue of withdrawal from the NPT. The IAEA was created in 1957 and is independent within the United Nations System. According to its Statute, the Agency “shall seek to accelerate and enlarge the contribution of atomic energy to peace, health and prosperity throughout the world. It shall ensure, so far as it is able, that assistance provided by it or at its request or under its supervision or control is not used in such a way as to further any military purpose”. d/ In addition to its statutory mandate and using extra-budgetary resources (voluntary contributions from Member States), developing all aspects of nuclear security, including the prevention of nuclear terrorism. The Secretariat (roughly 2,300 staff, headed by the Director-General designated for four years (Yukiya Amano, Japan, was elected on 2 July 2009 and assumed his duties on 1 December 2009) and is tasked with conducting the Agency’s programme, already approved by the Board of Governors and the General Conference. Voluntary extra-budgetary contributions with the lion’s share (US$85 million annually) allocated to the Technical Co-operation Fund (development assistance). 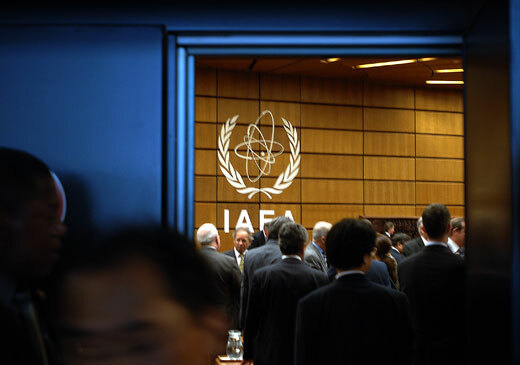 The principal purpose of the IAEA verification regime is to enable all States Parties to the NPT to exercise their inalienable right to develop research, production and use of nuclear energy with peaceful purposes and without discrimination (Article IV of the NPT), under conditions of security and mutual trust. In this context, the credibility and effectiveness of the IAEA safeguards system determine whether responsible civil nuclear energy can be developed. The adoption in 1997 of a model Additional Protocol to Comprehensive Safeguards Agreements is consistent with this idea. The second related to measures whose implementation by the Agency required the granting of further legal powers. To this end, a model Additional Protocol to accompany the existing Safeguards Agreements was drawn up. The model Additional Protocol was adopted by the IAEA’s Board of Governors on 15 May 1997 (INFCIRC/540). Originally intended for non-nuclear-weapon States that had signed Comprehensive Safeguards Agreements (INFCIRC/153), it has also been used as a template for the negotiation of additional protocols to the safeguards agreements signed by nuclear-weapon States (NWS), and should also be used by States not currently Parties to the NPT but which have signed limited-scope safeguards agreements with the IAEA (INFCIRC/66). The Additional Protocol allows the Agency, in a NNWS, to verify the absence of undeclared nuclear materials and/or activities. The State concerned is bound to provide the Agency with information on the activities it is conducting in relation to any nuclear programme (research and development, nuclear fuel cycle, import or export of equipment, etc. 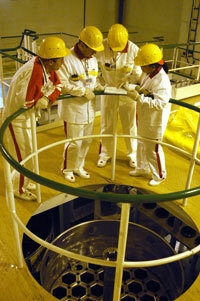 ), and to grant IAEA inspectors access to the relevant facilities, even if these are not using nuclear materials. The scope of the investigations of the Agency is therefore wider and its inspections more intrusive. By implementing a comprehensive safeguards agreement and an additional protocol at the same time, the IAEA is able to give credible assurances regarding the absence of diversion of declared nuclear materials and non-declared nuclear activities.